Also shown is the wiring, which assumes you're using a Chrysler factory radio. All Chrysler factory radios I've tested, tape decks and AM-FMs, are compatible with the power antenna. The wiring should be the same for at least 88-96, since the p/n for the antenna never changed. The actual location of the relay may change, but I haven't looked at enough XJs to say for sure. I was really going for the OEM look, so I removed the ANT fuse's connector from an XJ at the junkyard and added it to my fusebox. It's just a 2-part Pak-Con connector, so you can buy it new and crimp it yourself. That's the first time I've used the forum's image hosting! Neat, but I noticed it takes a while for the post to show up. Which MJ did you install the power antenna in? The 91? The family resemblance with mid '90s Mitsubishi tape decks is extremely clear. 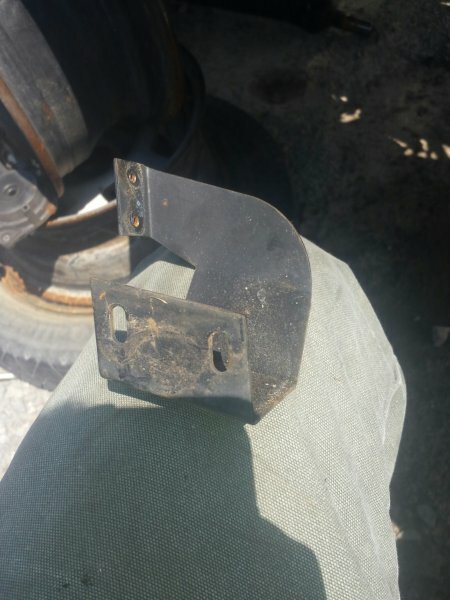 It also doesn't take the standard Jeep/AMC radio brackets. I don't know anything else, not even a part number, so I made up a story for it: I assume that this at some point was offered in the Jeep accessory catalog, perhaps in case you ordered a new Jeep without a radio and changed your mind later on. I haven't done anything stupid recently, so I decided to stick a tape into it. It sounded fine for about 30 seconds, and then I assume the belt broke and it ate ZZ Top's Recycler. You win this round, radio. Judging by the wear to the tape door, this thing's seen a fair bit of use. Sorry, its what Ive always heard the 90s things referred to by- since the buttons are rounded off, bubbled out/in to denote up/down. That style came into play in the late-80s, raged through the 90s before being replaced by molded buttons/touchscreen in the 2000s. But then, that might just be from my eccentric unlces. 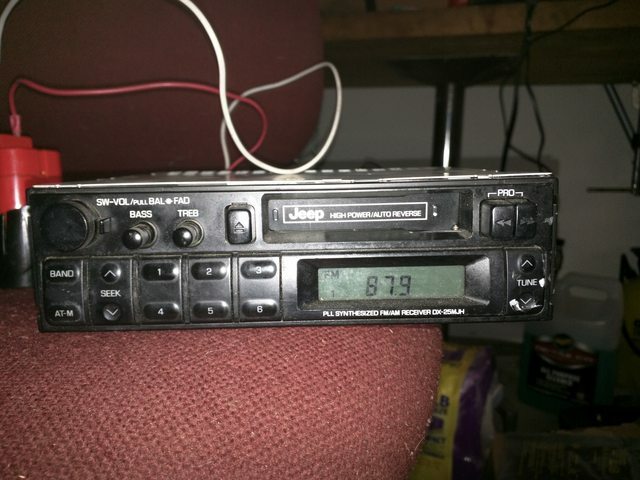 It won't, and it also won't come with the right bracket to mount it in your truck.That isn't really a Jeep radio, it's out of a Mitsubishi vehicle. Here is an eBay search that covers the Chrysler years by part number. This one won't catch them all, but will catch most. Any of these will be a direct fit for an 88 or newer MJ. OMG. Thanks for sharing this! Here is the Mitsubishi radio compatibility​... Definitely the same vintage. Going through eBay listings for radios always gives me a laugh... half of them just copy the format I use for my listings. One of the ones up now literally copied my title and left the same, incorrect part number for a radio I sold months ago. Hey I actually did something to this article! Added the AR-7750 and greatly improved some pics. I built a whitebox to take good pics in, and I will be replacing bad pics as I get the opportunity. Every radio is now on the website. 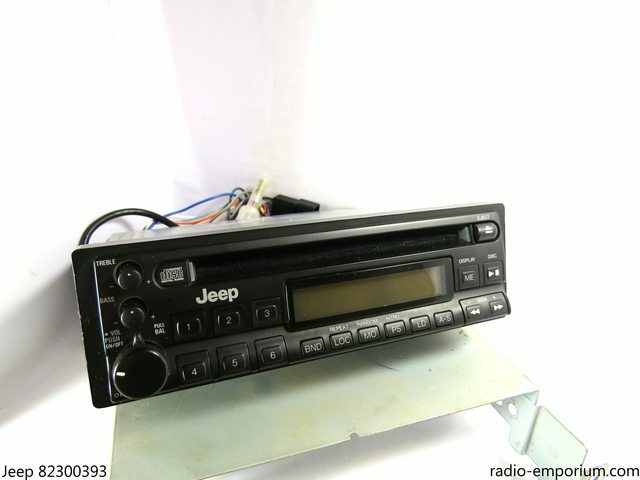 How many of you knew you could get a factory CD player in your XJ circa 1993? Think the AMC decks are rare? You have no idea. Obviously, this CD player is not mine - it belongs to Don. did some digging and discovered a couple of tapedeck models in my boxes o' stuff. suddenly I'm super stoked for that bluetooth add-on. 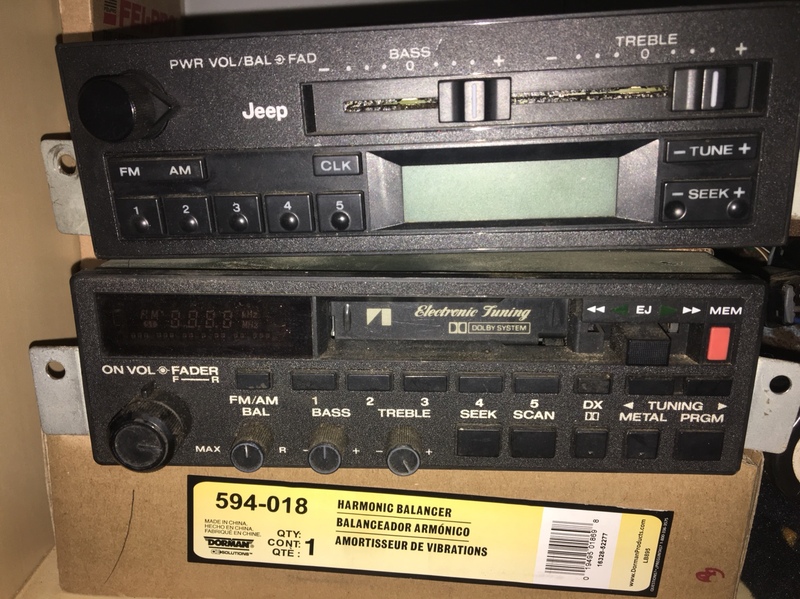 the cheapie single din I added to the Liberty is having fits and I want to be known as the guy rockin' a jeep radio that's three times as old as the Jeep it's in. Without seeing your actual radio, my guess has to do with the solder joints. These old radios are prone to cracking solder joints over time. IF it is just solder joints, it's a fairly easy but tedious process to re-solder the problematic joints on the boards. I just got done with this on an RX-135 of my own, the one in the main post with the green screen. Everything powered up, but there was no sound unless you wiggled on the radio. After spending an hour or two resoldering joints it works perfectly now. Well, I didn't really intend to update this writeup much more, since other than those crappy mono AM-only radios and the ones without electronic tuning, I've pretty much said my piece. However there's one more important thing I really need to talk about. That would be the unique 1985 radios - the model numbers I know are RX-131 (cassette with DNR) RX-141 (cassette with Dolby) and AR-7550 (AM-FM Stereo, without electronic tuning). Make sure you verify what you're buying before you actually buy it. Those models, as well as any others from the 1985 model year are to be avoided unless you have a 1985 model year vehicle. My side business, Jeremy's Radio Emporium, will not purchase, upgrade, or offer any credit for these radios. For reasons I will discuss below, your repair options are also very limited. Disclaimer: Prior to 1986, the radio set up in pretty much all Jeeps is like the wild west. 1984 seems to have different connectors than 1985, which are both different from 1983 and earlier. I can verify this information for XJ and MJ platform vehicles and most AMC cars, but not for full size Jeeps or CJs. This is a terrible picture, I know. but if you look at the very top of the pic you can see that those connectors don't exactly look like something we talk about a lot here. Those aren't the twin 8-pin connectors I associate with the AMC era. There are 4 connectors coming out of this radio! They're some manner of Delphi connectors, and I have tried without success to find any of them. 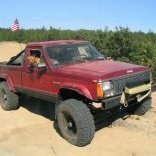 As a result of that, JRE does not furnish connectors for 1985 AMC radios or 1984-1985 Jeep/AMC vehicles. If you see an AMC radio (and they come in all of the usual flavors - AM, AM/FM, Dolby, and DNR) without two 8-position connectors, unless you have a 1985 vehicle, avoid it! But that's not the only thing I don't like about them. They are almost impossible to repair in 2018. Long story short - the 1985 radios contain parts that are absolutely impossible to find from any source today. 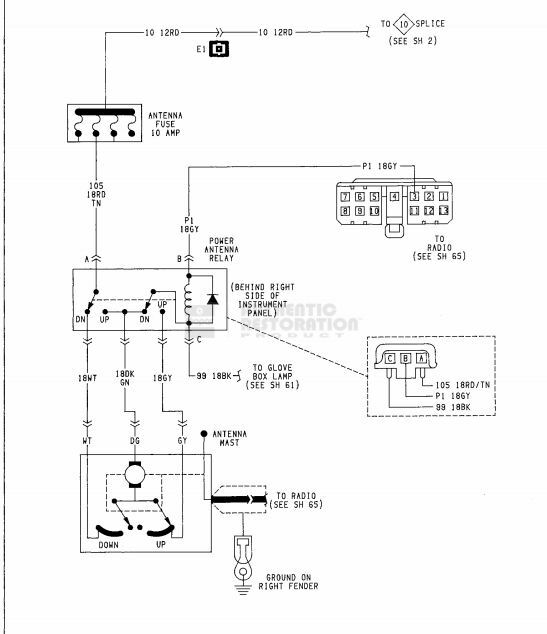 It seems that the AMC radios were internally simplified for 1986 and 1987, at the same time the connectors changed. So, to summarize, you want your AMC radio to have the below connectors on it. If there are more than two connectors not including the all black antenna wire, I do not suggest using the radio. At the junkyard, before you go to yank a radio, make sure the vehicle is a 1986 or 1987. So I aquired this radio from a hidden magical junkyard with a couple Cherokee Wagoneers and couldn't leave it behind. Nice, good shape too. Does it have the later connectors or the many early ones? what's the MEM button for? That's how you save a station on the AMC radios: push the MEM button and then push one of the number buttons. gotcha. the location next to the tape functions threw me for a loop. The wires come out of the side. I honestly only got it because I figured someone on here would really like it. Fun fact: I have literally never got my hands on an AMC radio that failed to turn on. Some had other weird stuff going on but they all at least worked.